Some guns are for hunting, some are for concealed carry and some are home defense guns. What you want from each one is a little different. 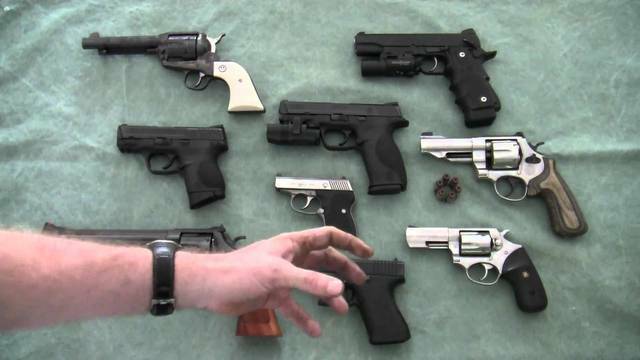 Guns, after all, are tools, and you should use the tool best suited for the task. A compact pistol goes great in a holster and cinches up well with a good good gun belt.. A good home defense gun, however, it may not make. A good home defense gun is easy to shoot accurately, and gets the most from ammunition. This is where service-size pistols come into their own, and also where shotguns with shorter barrels come into their own...provided you make smart choices with ammunition. That said, here are 2017's best new guns for home defense. 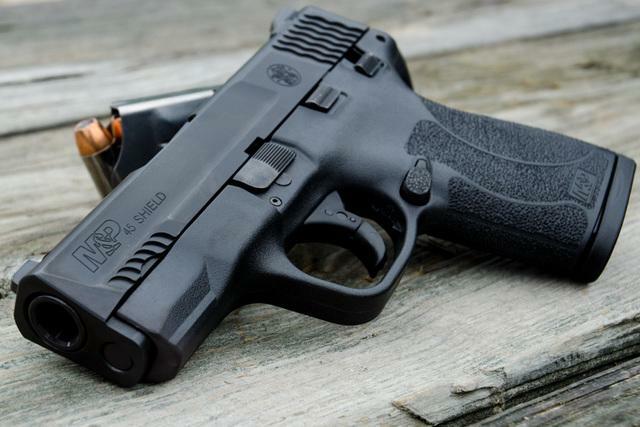 Smith and Wesson has been promising an upgrade and/or refresh of the M&P series for some time - some people have been begging for it - and it is here: the M&P M2.0. The M&P has been at the top of the list for service pistols or full-size guns for years now and the M2.0 is going to keep it there. The M&P9 M2.0 and M&P40 2.0 were released first, and the M2.0 compacts have just been made available at the time of this writing, though the Shield M2.0 is surely on deck. It's still a poly-framed striker pistol, and you still can choose between a 4.25-inch or 5-inch barrel length. Capacities remain unchanged, at 17+1 in 9mm, 14+1 in .40 and 10+1 of .45 ACP. However, many details have been improved. The fish-scale slide has been altered for even better grip, as has the grip stipling, but - and this is what a lot of people have been asking for - so has the trigger. Smoother takeup and crisper reset for the plastic fantastic purists. You still get an accessory rail and your choice of having it with or without an ambidextrous safety. Put a light on it and you have a tactical pistol that's perfect for home defense. MSRP starts at $599, but expect it to be much more manageable in-store. 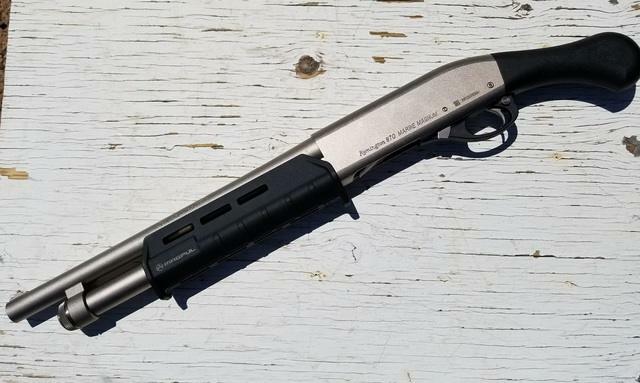 The Road Agent from American Tactical Imports is a short-barrel side-by-side shotgun, but unlike most side-by-sides made these days, this baby is hammer-fired! 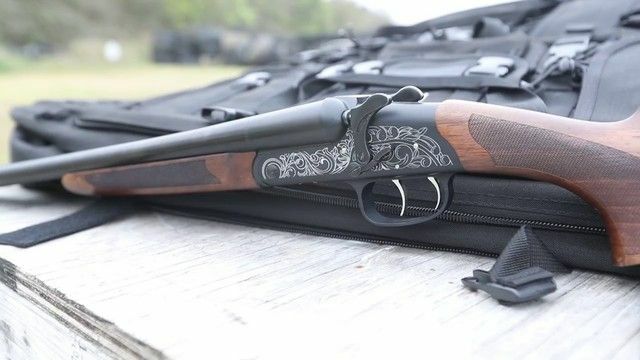 That's right, an old-school double-barrel shotgun, perfect for gun work that's up close and personal. That makes ideal as a home defense gun. Best of all, it also comes with a decocking lever so you can put the hammers on safe if desired. Barrel length is 18.5 inches, so perfect for close quarters. You also get a recoil pad on the rear of the stock - very good news - which also happens to be Turkish walnut, so it also makes a presentable appearance. ATI products aren't the most widespread, so you may have to order one. MSRP is $599, but you should be able to get one for less than that in a few months at most. You wouldn't want to hunt ducks with it and it's old-school for sure, but it's tactical and practical for home defense. Until this year, CZ was really known more for the CZ 75B and related double-action trigger actions in their pistols, renowned for their ergonomics, accuracy and easy-shooting. They make some of the best service guns money can buy (though they don't cost too much, which is a bonus) but they have thrown their hat in the poly-striker ring with the P10 C.
The P-10 C is roughly the size of a Glock 19, with a 4-inch barrel, polymer frame and striker-fired operation. It's something of a goldilocks gun, as it's big enough for use as a home defense gun but compact and light enough for concealed carry. So it's another poly-striker gun...with all the usual fare. Magazines hold 15+1, you get an accessory rail, FDE finishes are available, low-profile combat sights, exchangeable backstraps...but you also get a trigger tuned by CZ, with the ergonomics to boot. MSRP is a very reasonable $499, but you aren't going to find a plastic fantastic that feels this good. Okay, maybe you might. 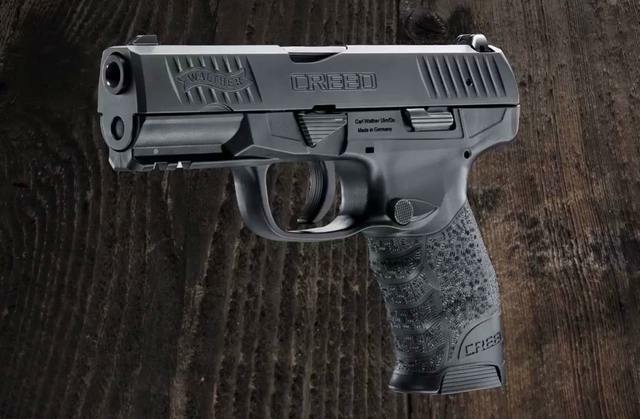 The only gunmaker as renowned for ergonomics as CZ is Walther, and their new gun is the Creed. The Creed came out in late 2016, but was given a soft launch ahead of being taken for its official debut at the 2017 SHOT Show. The Creed is like the P10 in dimensions, with a 4-inch barrel and could be used as a nightstand gun or CCW gun if called upon. However, you also get Walther's ergonomic appointments - widely considered some of the best - and a Walther trigger, which are regarded as the best to be had. The Creed is pretty barebones, though you do get an accessory rail. Capacity is 16+1 and there's no manual safety. Everything you need, nothing you don't, but it will feel great in the hand, shoot well and all for an MSRP of $399. In terms of gun for the money...it doesn't get much better. More people want a short shotgun for home defense weapons than can get one, due to federal regulations, but Remington found a way around that with their new gun, the 870 Tac-14. The Tac-14 has a 14-inch barrel (hence the name) but since the club stock is made that way at the factory and puts overall length just over the federal minimum of 26 inches, no need for a Short Barrel Rifle stamp. It's blacked out. It carries up to 5 12-gauge shells - though those will be 2-¾ shells - and that's about all there is to it. It's simple, it's small, and you can put quite the hurting on anyone who tries to break into your home. Just make sure you drill with it. Short shotguns can be a lot to handle if they are sans stock. 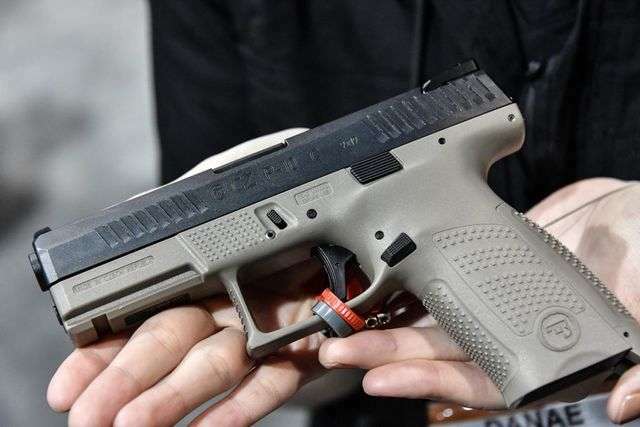 The FN 509, just like the CZ P10 C and the Beretta APX, was created for entry in the XM17 trials, wherein the US military went over a crop of handgun candidates to pick a new one to replace the aging Beretta M9. 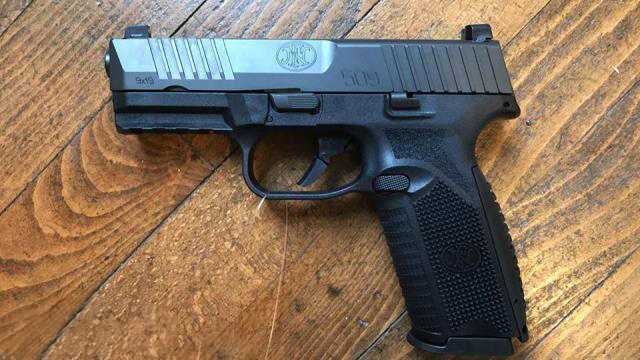 The Sig P320 was ultimately the military selection of a handgun, but there are a number of people out there that think the FN 509 should have been chosen. The 509, like the P 10C, straddles the line between compact and full-size. Big enough for service use, compact enough for concealed carry. It's also a poly-striker pistol, holding 17+1 of 9mm, with changeable backstraps, night sights and an accessory rail. Aggressive grip stipling keeps it in the hand in the moment of truth. 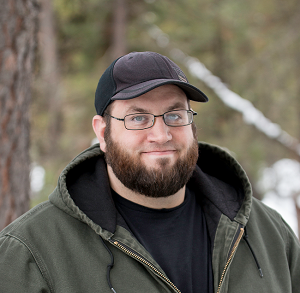 The 509 has been quietly gaining a reputation for being very easy shooting and accurate, with a lot of reviewers preferring it to the Sig P320. It's quite affordable, at $649 MSRP, though you can expect to pay less in stores.